Brighouse Town will have a hastily arranged friendly at home to Huddersfield Town under 23s on Wednesday (7.45). 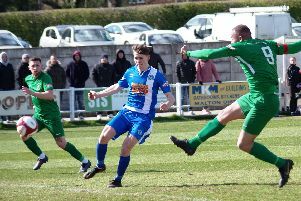 Brighouse received a request from the Terriers’ Lee Bromby to stage the game and the Evo-Stik NPL side plan to field a full strength side. Admission is £4 and £2 for concessions. The referee will be Mark Powell from Mixenden, who takes charge of National League and National League North games.